No thought on what happens after that connection is made (how are they’re going to turn that prospect into a client?). No thought about the discussions they’re creating and how they’re going to get a prospect to move from the discussions to their blog or website to learn more. In short, there is no strategy for integrating LinkedIn into their everyday sales and marketing activities and programs; and, more important, there’s no strategy that’s aligned with their revenue objectives. I bet your profile is simply a cover letter and resume that talk about your marketing or sales achievements (which only shows that you care about making the sale instead of providing value and building a real relationship). And I bet you’re not speaking to different targeted audiences that have specific needs and showing your value to them. You took a tactical approach rather than a strategic approach. If you treat your profile as a cover letter and resume, you’re missing a prime lead generation opportunity. Brynne Tillman from Social Sales Link points out that prospects don’t care about what you’ve done, they want to know how you can help them. To convey your worth, find out what kind of value your prospects are looking for and optimize your LinkedIn profile to woo them. Your profile should be piquing interest and starting conversations with key decision-makers that lead to revenue opportunities. One of our clients, a managed IT service provider, gained interest from a nearby large real estate management firm by changing its VP’s profile, which used to be just a listing of his experience. Instead, in the profile we referred to case studies, such as how he helped the largest, oldest, most respected real estate management firm in the US cut IT expenses in half. The real estate management firm contacted our client for the complete case study, which led to further sales conversations and revenue opportunities. Many sales and marketing professionals are using LinkedIn groups as a news feed, merely using the LinkedIn publishing platform as another place to put their blog posts. So they’re just pushing out content instead of having a strategy to use content tailored to pull prospects in. You need to plan out what type of content you can provide that will have decision-makers thinking twice about the approaches they’re taking. You have to think about the discussions you can create that make you stand out as a thought leader. You have to think about whether the content is relevant—and for whom— and whether the content inspires prospects to want to take action. For example, a client of ours created a LinkedIn content platform post, “Everything You Know About Digital Advertising Will Change,” discussing rising technologies, emerging trends, and new best-practices that will shape the industry. The post gained close to 3,000 views in just a few days, and the client’s firm came to be viewed as a thought leader. More significantly, the content resulted in numerous sales conversations, because the post encouraged people interested in the topic to connect with the client—who used the post in its nurturing process. Fortune 1000 digital advertisers wanted to learn how they can take advantage of the changes taking place in the industry. Another client, Tanja Parsley from Partners in Performance, created a post, “82% of Sales Professionals Are Not in Sync With B2B Buyers.” She discussed a recent Salesforce.com study and explained why she thinks Sales is not in sync with buyers. On the first day of publishing, Tanja gained more than 1,500 views. She had close to 50 new requests to join her LinkedIn community, where she had the opportunity to engage with these new contact further through her discussions. Her content drove action. It made people take that next step so they could learn new customer-centric sales strategies to become aligned with their customers’ needs. And, even more important, she had people asking about her intentional-selling training. Take a good look at your connections to see how many of them are “long-shot hopefuls” who could, maybe, introduce you to so and so. If you’re like many sales and marketing leaders, most of your connections are irrelevant to your business because you were focused on quantity instead of quality, taking a scattershot approach, hoping that someone can help you instead of focusing your time and energy on the key decision-makers and influencers who can positively affect your bottom line. Your intelligent prospecting strategy should define who your main and secondary prospects and influencers are, and it should include a plan to get them to open their closed doors—and keep them open so you can gain revenue from your LinkedIn marketing and social-selling efforts. It’s not about how many connections you make or followers you have on LinkedIn and other social media platforms. It’s about how many people you reach and engage with. The best way to engage in social media is to create a community. In LinkedIn, you can create actual groups that you manage. My LinkedIn group, Get Help with Linked Strategies, helps me to engage with 400+ sales and marketing professionals via regular content and discussions. One of my technology company clients has a community of 900+ decision-makers from companies such as Walgreens, Dannon, Target, Walt Disney Store, and Pfizer, among many others. Remember, B2B buyers are looking for quick access to trusted experts and relevant content that helps them with their business issues. Your custom, niche LinkedIn community is the perfect way to give your buyers what they are looking for. Because my client with the 900+ group members was giving buyers what they want, they received RFPs, leading to additional revenue opportunities. 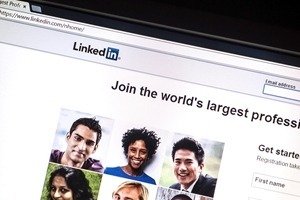 Most of the prospects you connect with on LinkedIn and other social media platforms don’t realize how and why they need you… yet. You need to nurture those connections and provide them with relevant content that gets them to raise their hand. You need a strategy for how you’ll use webinars, webcasts, and other thought-leadership content that piques your prospects’ curiosity and gets them itching to talk to you about their options. You need a strategy for how you’re going to intrigue prospects enough that they are curious on how you achieved results. Then you need a strategy for how you’re going to move them into your pipeline and get them to engage further with you. By integrating LinkedIn with other content marketing initiatives and having a funnel strategy, one leading communications technology company generated more sales opportunities than all of its other initiatives combined.